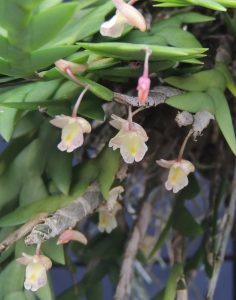 This interesting small growing species native to Papua and New Guinea is another new species for 365 days. We have had the plant for many years and each year it produces short lived flowers over a period of months from its older growths. 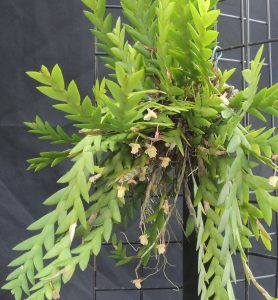 The plant has overlapping fleshy leaves that over time fall off to reveal the flattened pseudobulb beneath.